Saudehornet is the village of Ørsta’s pride of joy – rising majestic up from the fjord and the village. 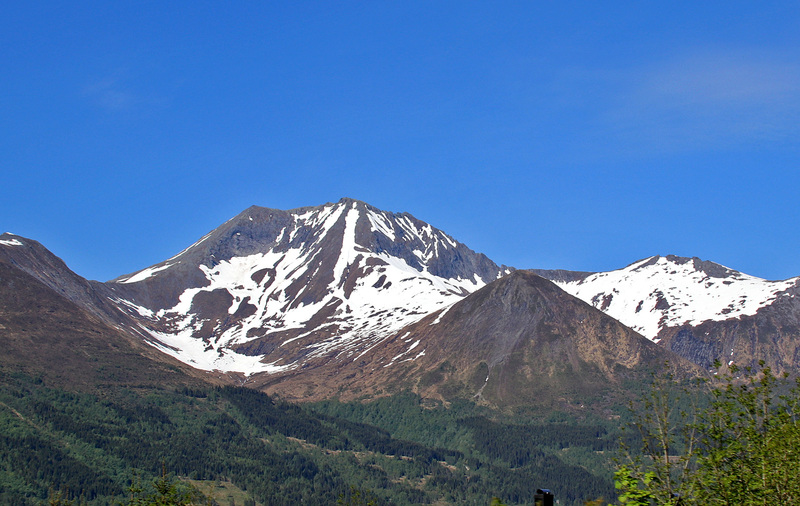 This is without a doubt one of Sunnmøre’s most popular tops – above 1000m. Now that the snow had left Saudehornet’s upper ridge, it was due time for the 1st visit in 2018. After work. 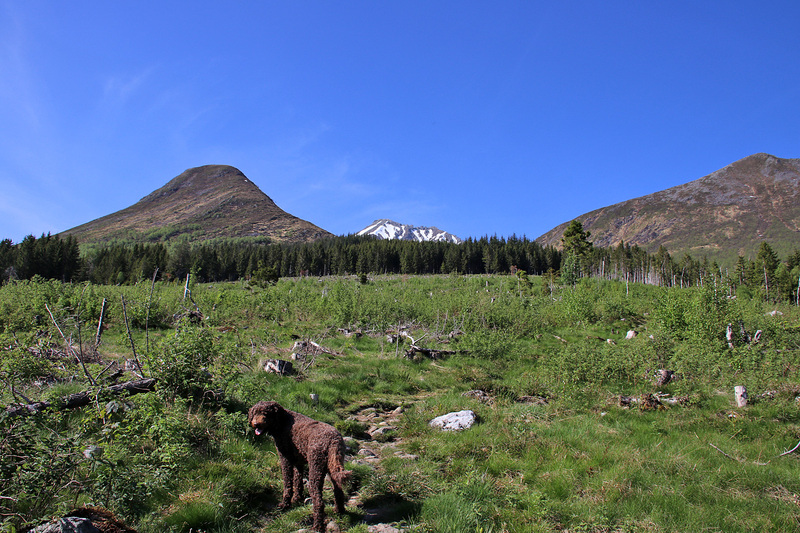 The trailhead is only a 30min drive from my home on Gurskøya. Somehow, this mountain is not on my list of “regular skiing tops”. As I enjoy the path from Vallabøen more than the normal route from the waterworks, this was my trailhead for the day. Heading out from Vallabøen. Vallahornet closest. Saudehornet in the background. 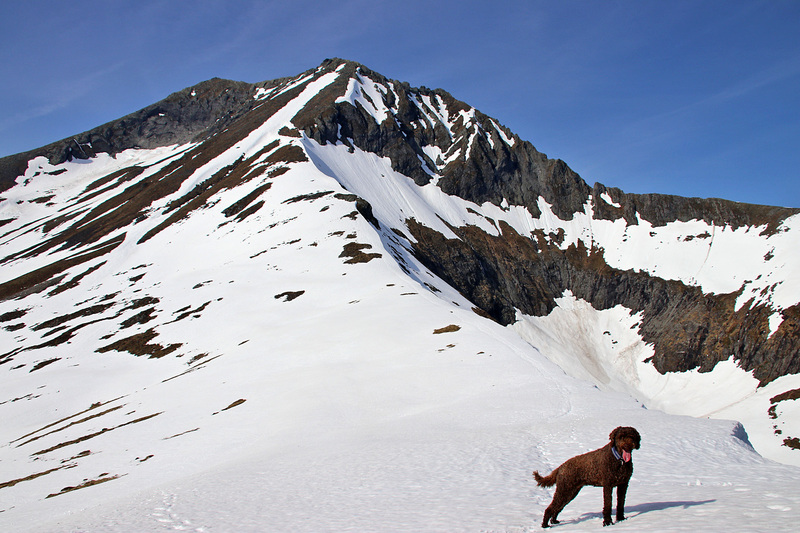 Karma knows how steep and long this route is, and did not radiate enthusiasm at the trailhead. I promised here extra goodies on top, and the problem was somewhat solved. The big minus with this route, is that there is no water along the way. And as this was a really hot day, that was a potential concern. But I assumed she would handle it. I tried to keep a fast pace, but it was just way too hot for any new personal record attempt. So, we took it one notch down – which meant fast, but not very fast. 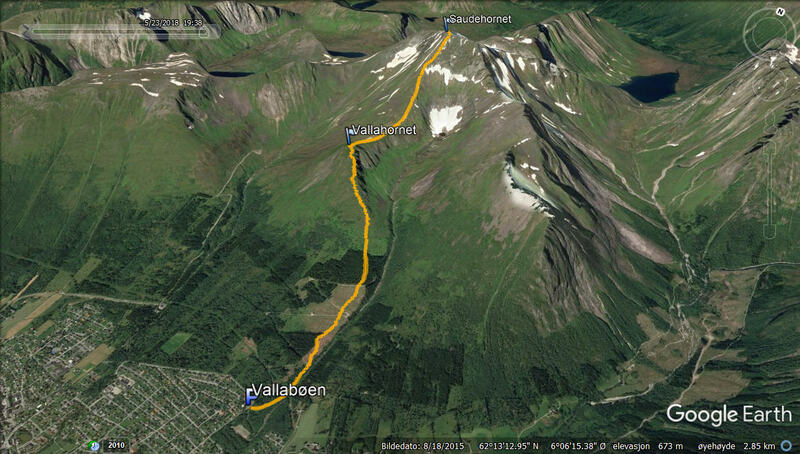 At Vallahornet, we ran into snow, which we more or less had to deal with until we reached the final hillside. Karma licked snow like never before, and I wished I had brought some water. But thirst is quickly forgotten when you reach the top of this beautiful peak. The views are just astounding! Normally, I descend along the normal route, where Karma can satisfy her thirst in the river. But today, I decided to return the same way I came. Back in the car, I served Karma as much water as she could drink. Trip statistics: 7,9km, 1260 vertical meters, 2h:42m.